I created another interactive comic using Bitstrips that would allow students to investigate arrays and multiplication. In this activity, students help Mr. Ro arrange desks into rows and columns for the first day of school (I know, I know, very teacher-directed seating arrangement) by clicking and dragging desks and into their desired position. 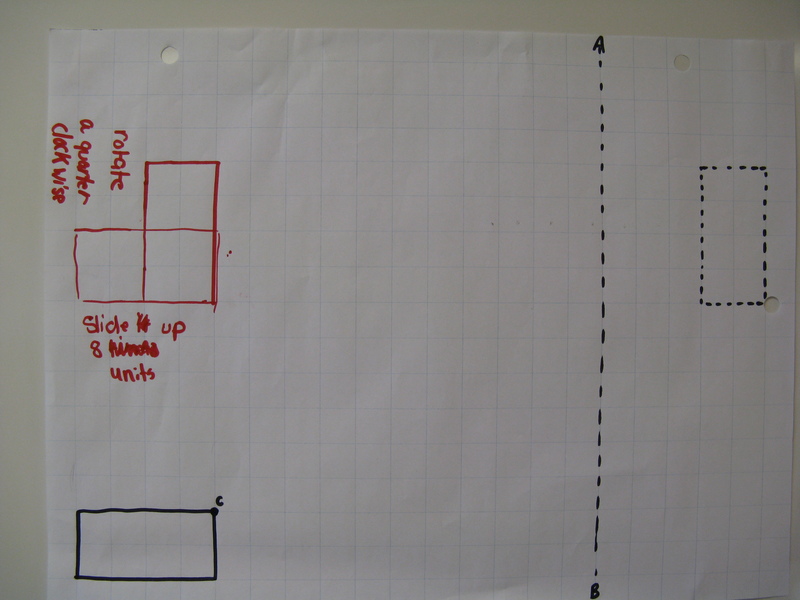 The comic problem is open-ended to allow students to create arrays with 12 desks all the way up to 24 desks and to create a variety of arrays for the same number of desks. 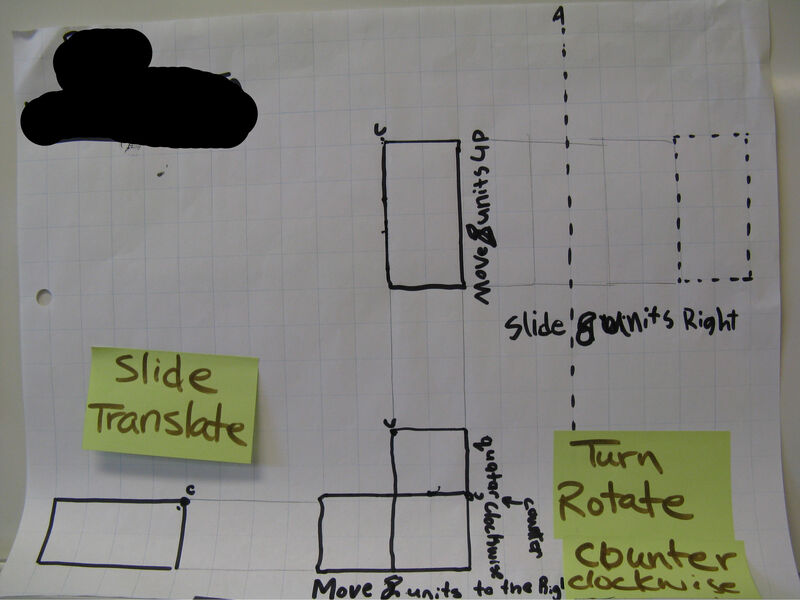 I have shared this activity in http://bitstripsforschools.com and I would love to get feedback on how this activity goes if you try it with your class. The word problem above is a very specific problem that only has one answer. The fact that there is only one answer is not a serious issue for me or for the students that need to solve it. The issue with a problem like this is the fact that there is only one way to answer it. This is a very specific problem that requires a very specific solution. If I gave this problem at the beginning of a grade 6 transformational geometry unit or TLCP cycle (Teaching Learning Critical Pathway) there is a good chance that only a handful of students would be able to solve it correctly. This is the kind of problem that I would give at the end of the unit or TLCP cycle since it is a really good assessment OF learning type of problem. Then it should come as no surprise that this problem was taken from the 2008 EQAO math assessment. This is an example of opening up a very specific math problem. 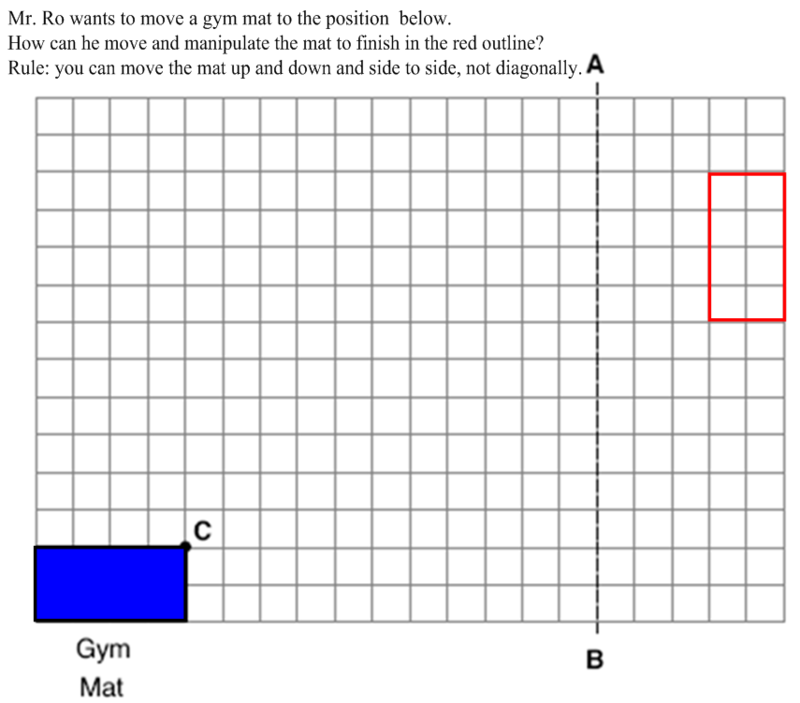 This open problem has more entry points for students than the previous problem since students have a choice in how they can move and manipulate the mat. Open questions are questions that have more than one answer and are great for differentiating instruction in the math classroom. 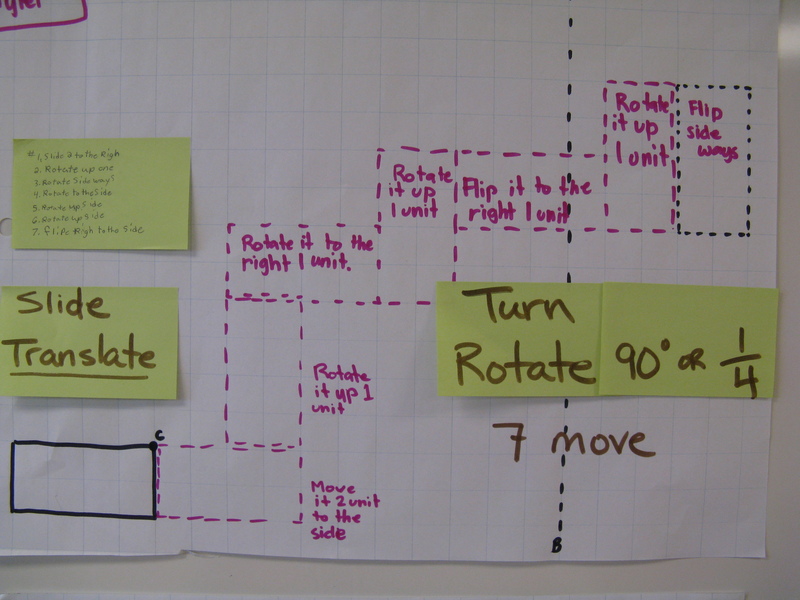 Open questions allow students to solve problems based on where they are at in their math development. What is the most efficient/fastest way to get the mat to the desired position? What’s the purpose of the dotted line AB? 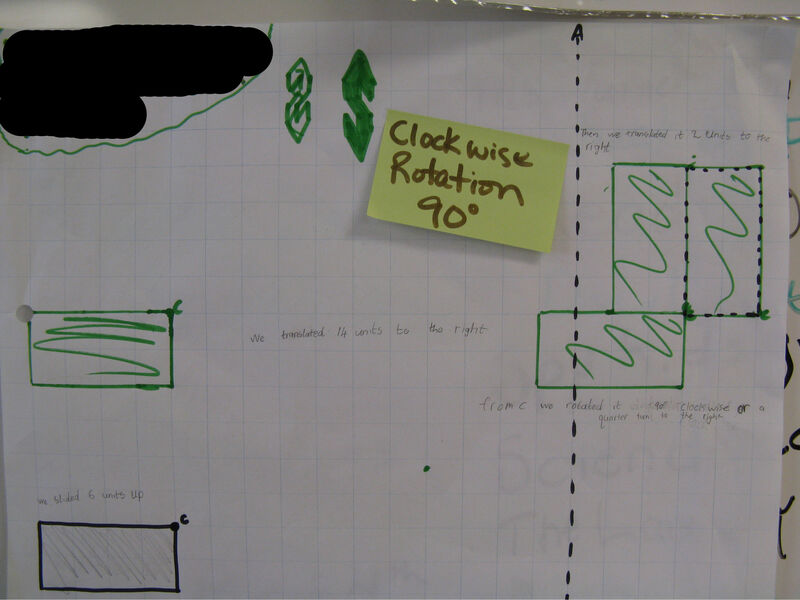 Can an object/shape have more than one point of rotation? 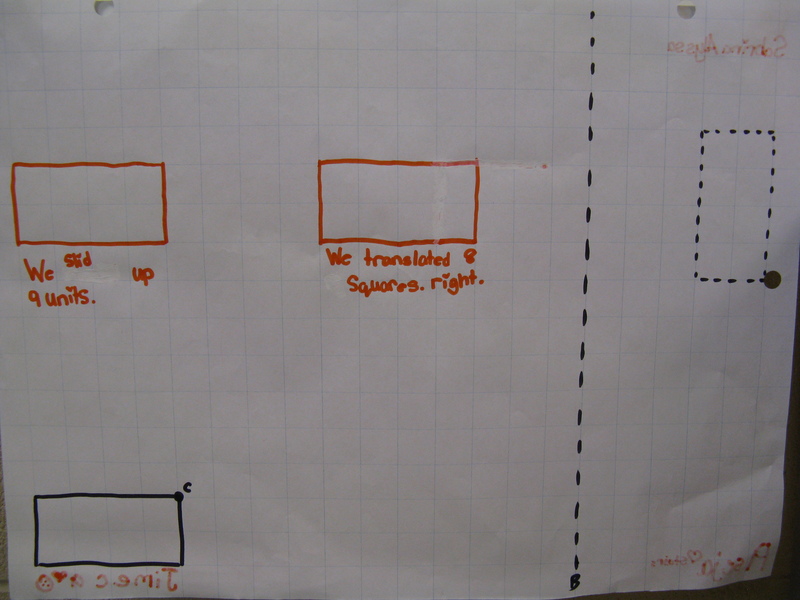 This rich discussion was able to occur because of the openness of the question and the fact that students had the freedom to investigate and use their own math thinking to come up with a solution. 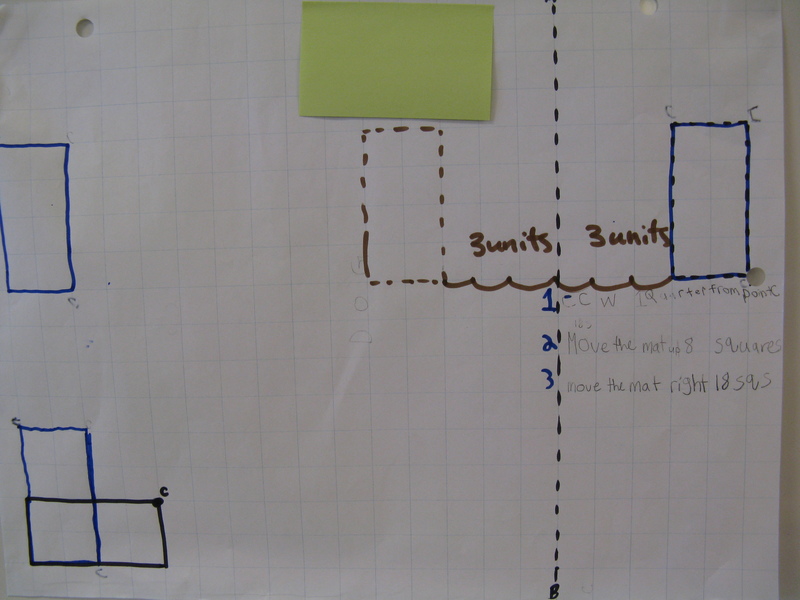 It was also very powerful for the students to see that none of the groups came up with the same solution to the problem. 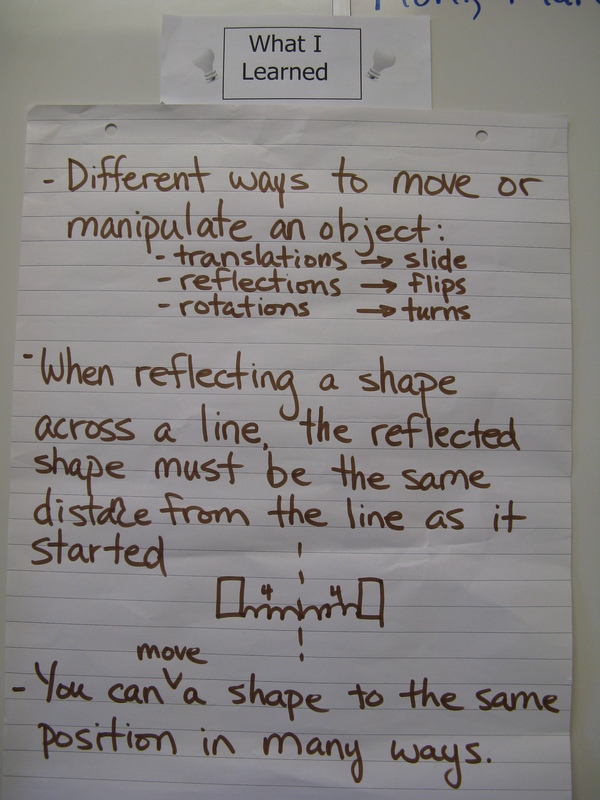 The range of students’ solutions also allowed the me and teacher to determine appropriate action for the next couple of lessons.